We concluded the month of Indonesian food journey with one of the best seafood restaurants (in terms of taste) in Surabaya,Layar Seafood Restaurant. I put the bracket there because its table was poorly set; in fact it was only covered with layers of plastics for their ease of cleanups. 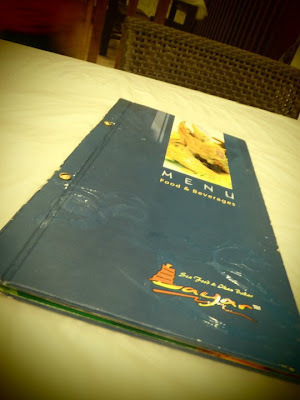 Although they have gained considerable amount of fame, Layar still managed not to charge exorbitant price for its menu. You can either pick your food straight from the fish tanks outside, or choose from the plenty choices on their menu. 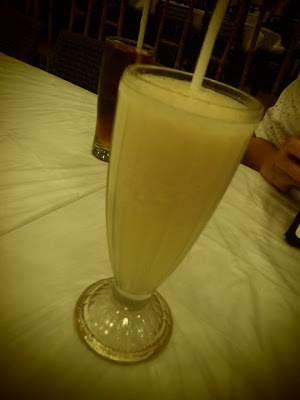 We started the night with the drinks, Lychee Juice and Iced Tea. As with any other Indonesian dinner, we had share plates for tonight as well. 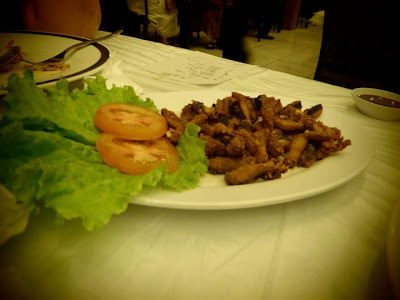 The first two starter-ish dishes were Garlic steamed oyster and Deep fried eels. The oysters are sold individually because of its size. 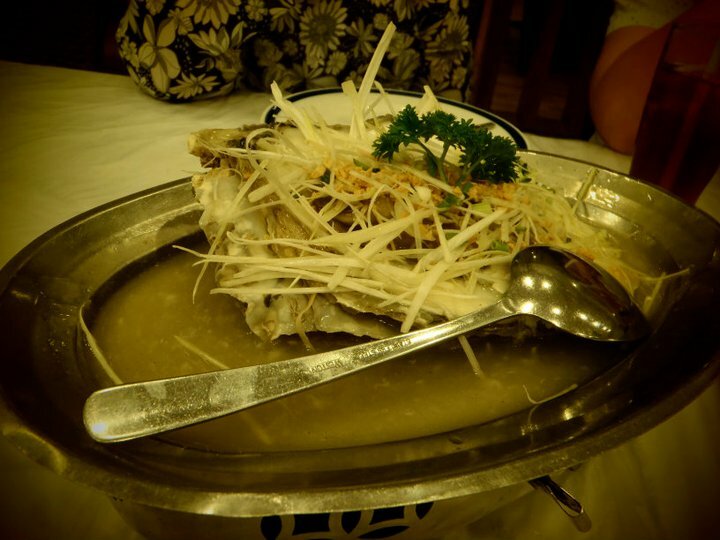 One massive oyster was served on a heated aluminium serving plate. It had a nice taste, although it lacked chewiness due to its size. The other dish was extra crunchy and the dipping sauce created an extra taste of yumm! The two vegetable dishes that we ordered were Ca Kangkung (loosely translated into stir fried water spinach) and Sambal Eggplants. 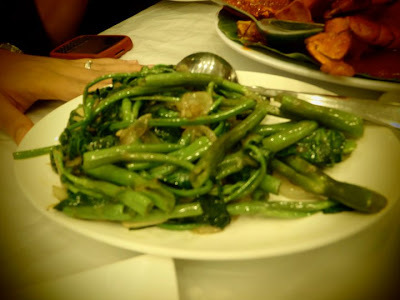 The water spinach added a touch of freshness to our otherwise ‘greasy’ night. 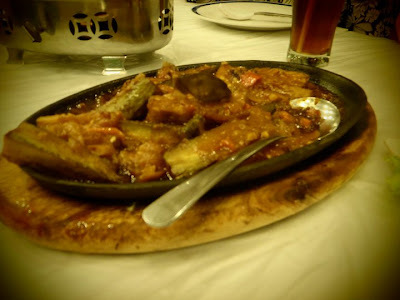 The eggplants were served in a sizzling hot plate with a hint of chilli taste, though not overpowering. They were sort of twice cooked and were quite soft – unlike the hard, grilled eggplants from BBQ. I must say that the highlight of the night came from the next two dishes. 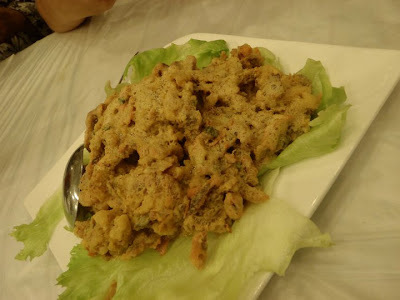 First one was Salted egg yolk Soft-shelled Crab. I must admit that even with the lettuce garnish, it still didn’t look appealing. However, when you had them with your steaming hot rice, they were perfect. The crab’s crunch and coarseness of the egg created a nice combination for us to enjoy. 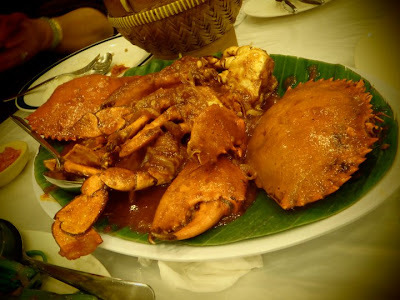 Then came the ‘actual’ crab, Crab with Padang-style sauce. This was actually a work of art. The aroma, the presentation and the taste were all appetising. Even with all the difficulties of eating a crab, this was still the dish to order. You will be able to choose between, small, female (with egg), or Jumbo (they might sometimes call it Super) crab. Personally I like the ones with egg, because of the added taste of the egg, but if you want value out of your crab, I suggest you order the Jumbo ones. They were all massive and meaty. 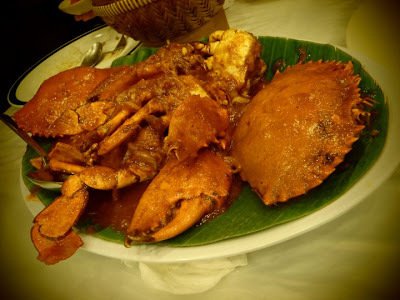 Their Padang-sauced crabs and Soft-shelled crab in egg yolks were dishes to die for. They were absolutely amazing. Feel free to explore the different kinds of fish they have, especially the steamed ones, because unfortunately we didn’t order any this time around. Layar is possibly the fastest growing seafood restaurant in Surabaya this 00’s decade. It started off as a tiny off-the-street restaurant and grew over the last decade to have two restaurants on major streets of Surabaya. They simply provide one of the freshest seafood with great taste.